My first novel began with those words. Of course, I was only eight years old, and as far as I knew, that’s how stories were supposed to begin. For many of us, those words served as an entry way to the faraway times and places of our favorite fairy tales and children’s stories. Those words were magic, leading us to castles and cottages, enchanted gardens, babbling brooks, and mysterious forests. Because of those words we could leave behind our mundane world and its everyday people, and venture off into the unknown, meeting knights and dragons, witches and ogres, soaring eagles, talking animals, princes, princesses, kings, queens, and the occasional knave. With those words, we sailed upon the seven seas, rode magic carpets through cloud-filled skies, and dug deep down into the center of the earth. We traveled to lands filled with giants, dwarves, elves, and beautiful winged-faeries. Mystical creatures lived within those words. They lifted us up and carried us off to wondrous, magical places. For me, those words can still transport me to different times and places. Even now, I can close my eyes, recite those powerful words, and feel the same sense of awe and joy I knew as a child. Was it any wonder then that when I sat down to write my first “grown-up” novel, I turned to “Once upon a time”? Actually, I didn’t. At least, not at first. After all, I wasn’t a child, and I certainly wasn’t telling a children’s story. I was no longer eight years old and writing silly drivel about a little girl who loved horses as much as I did. No, not at all. I was writing the stuff of great fiction, or so I hoped. I was spinning a story of love and betrayal. My pages would soon be filled with incredible bursts of emotion ranging from the most violent anger — yes, I even had a dead body to throw in — to the sweetest, tenderest, most intimate feelings between a man and a woman. I would write of lies and deception, joy, bliss, despair, fear…and on and on. Oh, yes, I would do so much with my story. If and when I ever figured out how to do it. I started here, I started there. I wrote an opening scene then rewrote it from another point of view. I threw out a chapter or two, started again, and wondered if maybe I needed another dead body. Or three. Finally, in desperation, I reached for a notebook and pen. I curled up, closed my eyes, and tried to think of the best way to tell my story. Not to the reader. I needed to tell my story to myself. Then I began to write. Neat, cursive script upon clean, narrow-ruled pages. I smiled and kept writing. Soon, I had nearly a dozen hand-written pages filled with characters, dialogue, scenes, settings, and descriptions. 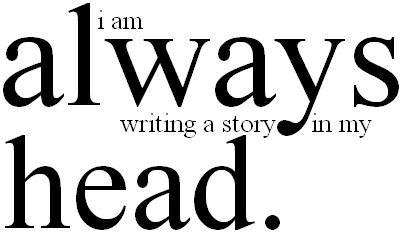 My story had been there all along inside my head, but I couldn’t get it out until I used those magic words. Of course, those words faded from the story in time. Once I had the story out of my head and onto the page, it was a fairly simple process to see where and how to begin, what to include, where to put those dead bodies. It worked. So the next time I sat down to write a love story, I simply closed my eyes and repeated the magic words again. Right you are, Jonathan! Thanks for stopping by. Thanks, too, for sharing my post with your readers. It’s appreciated. START DOING WITH WHAT IS MOST COMFORTABLE TO YOU!!! !